Around 350,000 Palestinians living in strangled East Jerusalem (EJ) face numerous political and socioeconomic challenges with social conditions steadily challenged and deteriorating as a result of occupation. 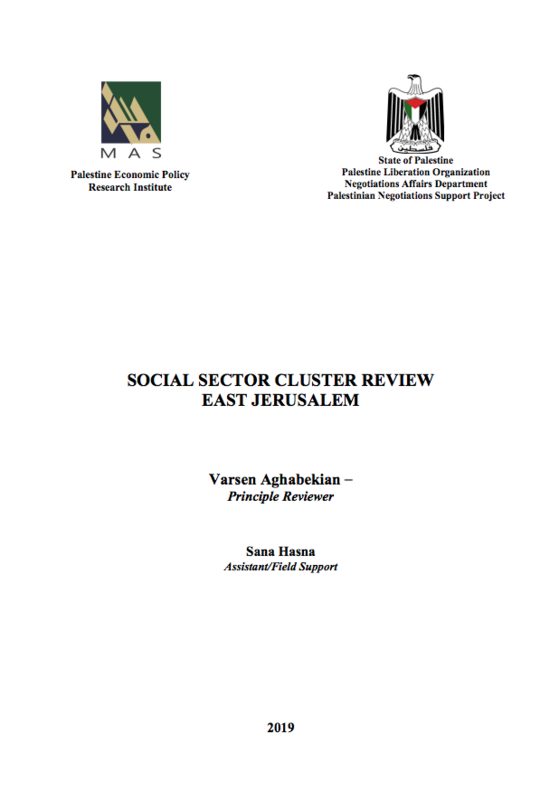 Disparities between the city’s Palestinian and Israeli population are reflected in all socioeconomic indicators as a result of an ongoing cycle of neglect and discrimination against the Arab residents. Furthermore, The Palestinian National Authority’s (PNA) budget to EJ is way below what the city requires. This is somehow mitigated through established and vibrant local and international Non-Governmental Organizations (NGOs) which provide support to EJ institutions especially in the social sector (health, education, cultural heritage and social welfare) that are highly dependent on donor support. Maintaining and strengthening EJ’s service providing organizations requires continuous support and is in line with the National Policy #8 of the State of Palestine’s National Policy Agenda 2017-2022.This support however, needs to be implemented in parallel to strong Palestinian, Arab and international lobbying towards a political solution on EJ as part of ending the occupation, preserving the two state solution with EJ as the capital of the State of Palestine.